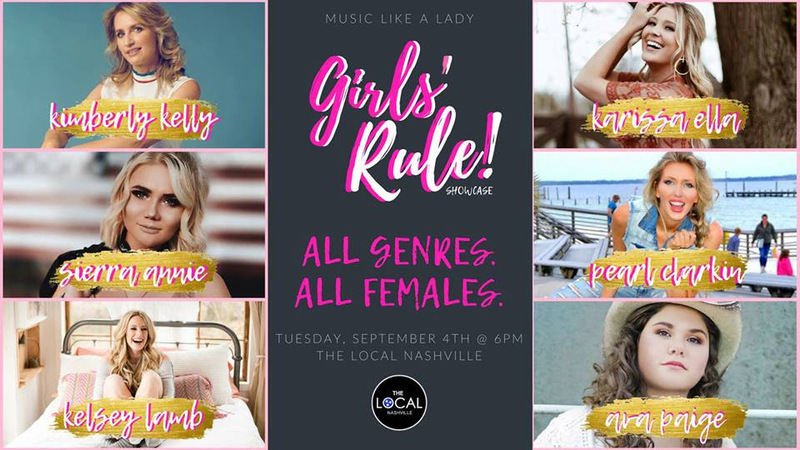 Music Like A Lady teams up with The Local Nashville to present the ‘Girls’ Rule! Showcase’ featuring Kimberly Kelly, Sierra Annie, Karissa Ella, Kelsey Lamb, Pearl Clarkin, and Ava Paige on Tuesday, September 4th at 6pm. For more information about Music Like a Lady and future showcases, please visit www.musiclikealady.com.